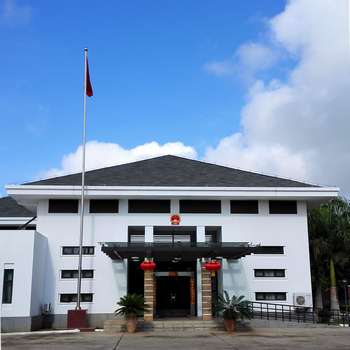 On October 14, newly appointed Ambassador Extraordinary and Plenipotentiary of the People’s Republic of China H.E. Huang Ping presented Letter of Credence to H.E. R.G. Mugabe, President of the Republic of Zimbabwe, and exchanged views with him on bilateral relations. Ambassador Huang conveyed cordial greetings and best wishes by President Xi Jinping to President Mugabe, and expressed his sincere gratitude for the arrangement for him to present the Letter of Credence within one week after his arrival in the country, which fully demonstrated the friendship President Mugabe and the Zimbabwean side have for China. 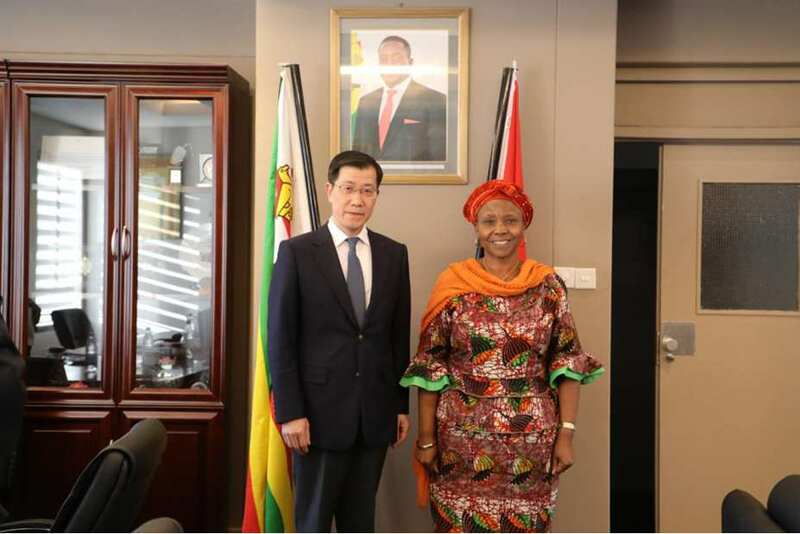 Ambassador Huang expressed his respect and admiration for President Mugabe’s exceptional contributions to the liberation and development of Zimbabwe and Africa. 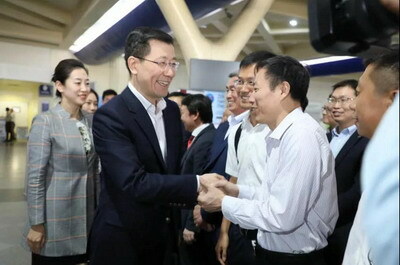 He spoke highly of the history and current state of the friendly relations between the two countries. 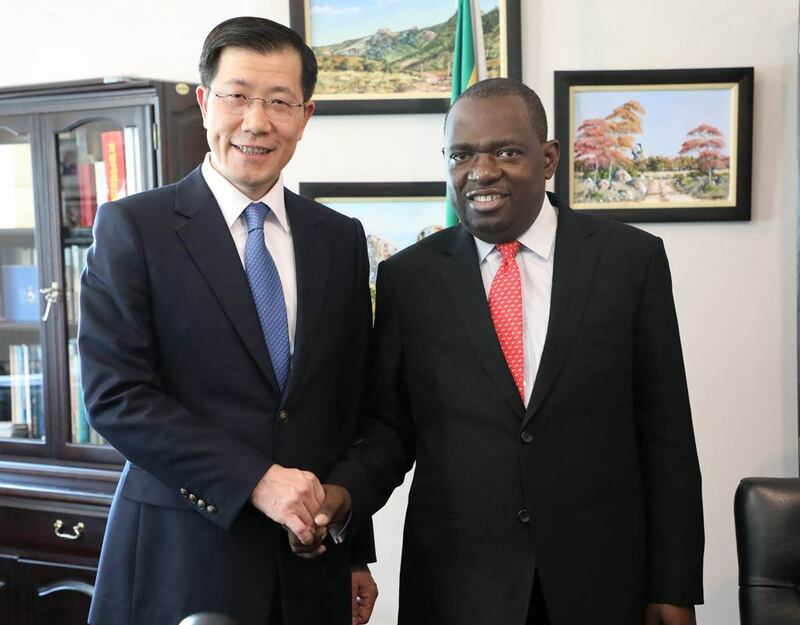 He said that with the support and assistance by the Zimbabwean side, he will do whatever he can to promote bilateral relations and the friendship between the two peoples. President Mugabe extended his warm welcome to Ambassador Huang, and congratulated him for starting his tenure at the best stage of Zimbabwe-China relations. 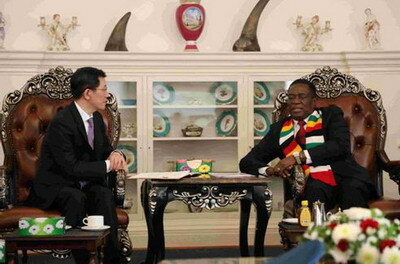 He said that China and Zimbabwe enjoy time-honored friendship, and that Zimbabwe is deeply grateful for China’s strong support and assistance during Zimbabwe’s liberation struggles and social and economic development after independence. President Mugabe recalled his past visits to China and applauded China’s great development achievements. 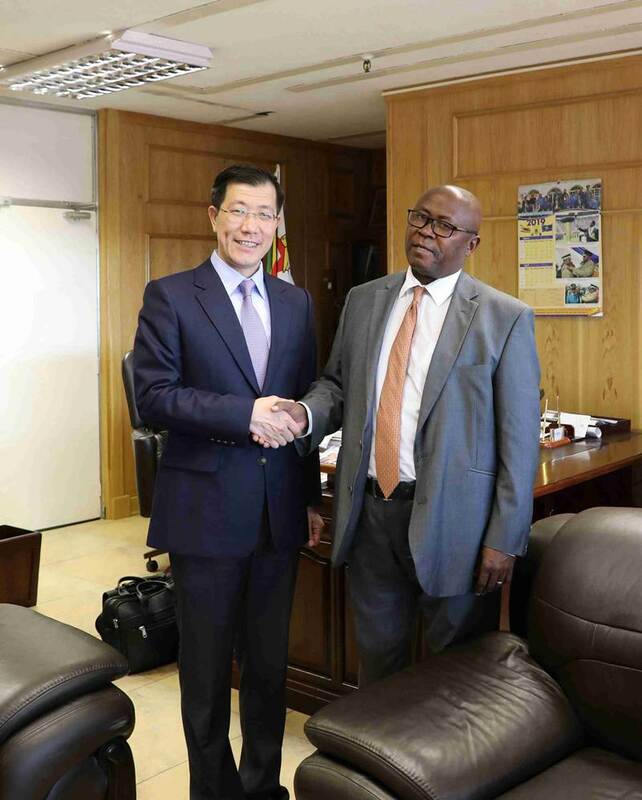 He said that Zimbabwe attaches great importance to developing its relations with China, and is willing to work jointly with the Chinese side to continue to push forward bilateral friendly cooperation. 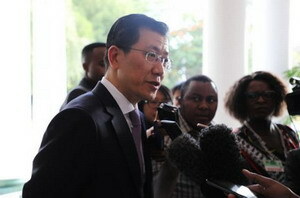 After the meeting, Ambassador Huang was interviewed by Chinese and Zimbabwean media at the State House.